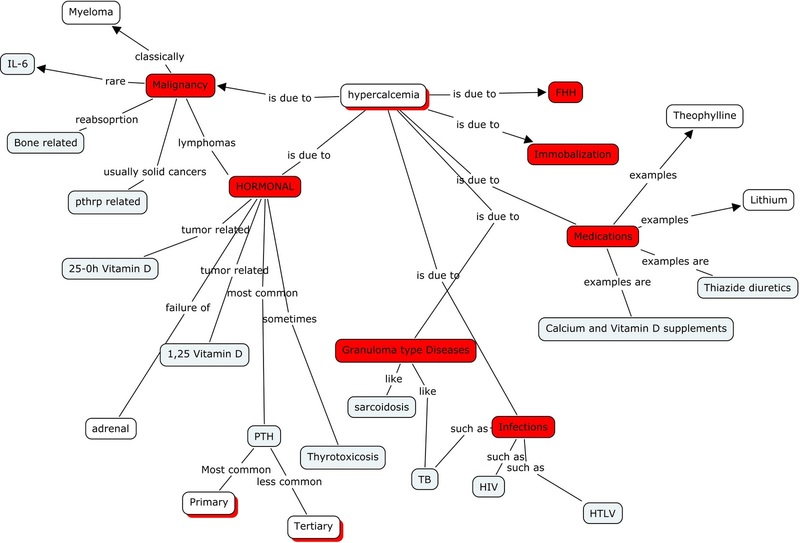 Here is an image of overall big picture causes of Hypercalcemia that I could come up with in a concept map format. A picture of the this is worth a 200 word blog. Wow -- this chart is nothing short of magnificent! What a stellar teaching tool! 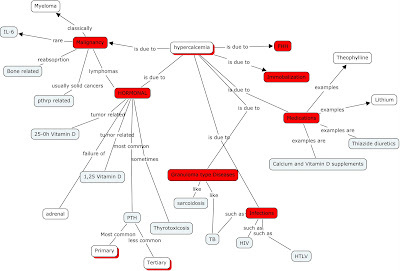 What software are you using to make concept map?